Here is one way that of my customers has improvised with beautiful results. 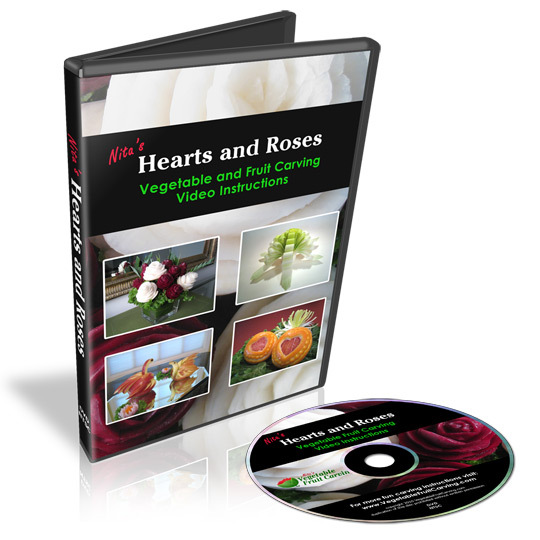 In my Hearts and Roses video lessons, I show how to make swans from apples. One of my customers, Al Kitchen in Arizona, used the same design concept to create a beautiful swans from honeydew melon. 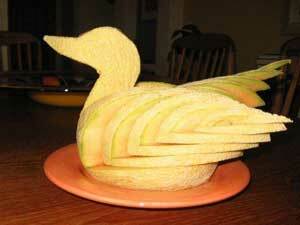 He also made a very charming duck from cantaloupe with the same design idea. It was a very clever adaptation of the apple swan design. If you would like to learn more about my video vegetable and fruit carving lessons where I show you how to carve the apple swan design, you can check it out here.